“JB & FD” reimagines conversations between John Brown, the antislavery crusader who famously raided Harper’s Ferry, Virginia, and Frederick Douglass, the abolitionist and orator, conversations that belie the myth of race and produce a fantastical, ethically rich correspondence that spans years and ideologies. “Maps and Ledgers” eavesdrops on a brother and sister today as they ponder their father’s killing of another man. “Williamsburg Bridge” sits inside a man sitting on a bridge who contemplates his life before he decides to jump. “My Dead” is a story about how the already-departed demand more time, more space in the lives of those who survive them. Navigating an extraordinary range of subject and tone, Wideman challenges the boundaries of traditional forms, and delivers unforgettable, immersive narratives that touch the very core of what it means to be alive. An extended meditation on family, history, and loss, American Histories weaves together historical fact, philosophical wisdom, and deeply personal vignettes. More than the sum of its parts, this is Wideman at his best—emotionally precise and intellectually stimulating—an extraordinary collection by a master. I send this note along with some stories I’ve written, and hope you will find time in your demanding schedule to read both note and stories. The stories should speak for themselves. The note is a plea, Mr. President. Please eradicate slavery. I am quite aware, sir, that history says the Thirteenth Amendment to the Constitution abolished slavery in the United States of America in 1865, and that ensuing amendments extended to former slaves the precious rights and protections our nation guarantees to all its citizens regardless of color. But you should understand better than most of us, Mr. President, that history tells as many lies as truths. The Thirteenth Amendment announced the beginning of the end of slavery as a legal condition in America. Slavery as a social condition did not disappear. After serving our nation for centuries as grounds to rationalize enslavement, African ancestry and colored skin remain acceptable reasons for the majority of noncolored Americans to support state-sponsored, state-enforced segregation, violence, and exploitation. Skin color continues to separate some of us into a category as unforgiving as the label property stamped on a person. Dividing human beings into immutable groups identifiable by skin color reincarnates scientifically discredited myths of race. Keeps alive the unfortunate presumption, held by many of my fellow citizens, that they belong to a race granted a divine right to act as judges, jurors, and executioners of those who are members of other incorrigibly different and inferior races. What should be done, Mr. President. Our nation is deeply unsafe. I feel threatened and vulnerable. What can I do. Or you. Do we need another Harpers Ferry. Do we possess in our bottomless arsenal a weapon to demolish lies that connect race, color, and slavery. By the time this note reaches your desk, Mr. President, if it ever does, you may be a woman. No surprise. Once we had elected a colored President, the block was busted. Perhaps you are a colored woman, and that would be an edifying surprise. This note is getting too long. And to be perfectly honest, Mr. President, I believe terminating slavery may be beyond even your vast powers. My guess is that slavery won’t disappear until only two human beings left alive, neither one strong enough to enslave the other. Anyway, please read on and enjoy the stories that follow. No strings attached. No obligation to free a single slave of any color, Ms. or Mr. President. This reading group guide for American Histories includes an introduction, discussion questions, and ideas for enhancing your book club. The suggested questions are intended to help your reading group find new and interesting angles and topics for your discussion. We hope that these ideas will enrich your conversation and increase your enjoyment of the book. In this new short-story collection, John Edgar Wideman reimagines the past and the present, the living and the dead, and the personal and the historical. Engaging with subjects both intimate and wide-ranging, Wideman explores birth, death, and the intricacies of family life with the same rigor and beauty as he does the experiences of famous historical figures like Frederick Douglass and Jean-Michel Basquiat. Dense with layered meaning and philosophical insight, these stories illuminate the joys and shadows of the human condition, particularly as they relate to love, aging, and race. From “Bonds,” about the lucky-or-unlucky birth of a child, to “Nat Turner Confesses,” about the life of revolutionary Nat Turner, this extraordinary collection builds in power and range to its striking conclusion—taken all together, a profound, essential meditation on American life. 1. In the “A Prefatory Note,” John Edgar Wideman writes that his guess is that “slavery won’t disappear until only two human beings left alive, neither one strong enough to enslave the other” (page 2). What does this statement lead you to believe about Wideman’s definition of slavery, and how does that differ from your understanding of the concept? 2. In “JB & FD,” John Brown and Frederick Douglass, a white and black abolitionist, respectively, each believe in the eradication of slavery, but they disagree about how to get there. What is the effect, at the story’s end, of creating a black character named John Brown, after the figure who was, in life, the more militant of the two? How does this complicate the dialogue between the two men? 3. “My Dead” describes the narrator’s relationship with his brother Otis, or Gene. What do you make of the relationship between the narrator, describing his complex feelings about a man with the author’s last name, and the author himself? 4. “Bonds” is an unconventional story about labor, with its focus the mother’s attempt to delay her child’s birth so he won’t have an unlucky birthdate. He already has two strikes against him, she thinks—“strike of poor, strike of colored” (page 48)—and a third is too much. What does this unusual evocation of maternal love bring up for you? 5. In “Writing Teacher,” the narrator and his student, Teresa, work on her story, a story about a young woman of color, a single mother, that the narrator believes his student wants to “help.” The narrator implies that Teresa, being white and otherwise privileged, has little authentic understanding of the character she’s created. Do you believe that it’s impossible, or prohibitively difficult, for a white person to write well about people of color? What mistakes does Teresa make in this story? 6. “Williamsburg Bridge” follows a man contemplating suicide. At the end of the story, do you believe the narrator is “cured”? Do you believe that he jumps? 7. What’s the distinction between Givers and Gratefuls in “Empire”? How does that map onto distinctions in our current society? 8. In “Yellow Sea,” the narrator asks the reader to “imagine an audience of Precious composed solely of big, dark-skinned, poor, unwed teenage mothers” (page 186). How does this engagement with film compare to the narrator’s feelings about watching and being watched in “New Start,” in which he and his wife consume episodes of Downton Abbey? 9. Death is a theme in many of these stories. “Ghost Dancer,” for instance, has the narrator visited by the ghost of a bird he once fed in his garden. What’s the emotional resonance of this visitation, coming after stories like “Williamsburg Bridge” and “My Dead”? 10. In “Collage,” Romare Bearden tells Jean-Michel Basquiat a story from the Italian Renaissance, that artists at that time sometimes intentionally rendered perspective imperfectly because they feared “deep cuts opening like doors into a canvas” (page 203). How do Bearden and Basquiat, in this story, create windows into other realities with their work? 1. Research the works of Romare Bearden and Jean-Michel Basquiat, many of which can be viewed online. How do they compare? 2. Watch Yellow Sea or Precious, referenced in “Yellow Sea.” Discuss how the films complicate your understanding of the story. 3. Pair your reading of American Histories with one of John Edgar Wideman’s nonfiction works, like Writing to Save a Life, to deepen your understanding of his writing. "John Edgar Wideman has established himself as one of the country's most formally inventive writers ... an important addition to Mr. Wideman’s body of writing and a remarkable demonstration of his ability to address social issues through a range of fictional forms and styles." "A powerful assemblage of short stories exploring late-in-life angst through personal myth, cultural memory, and riffs on an empire scorched by its own hubris ... His prose, its twisting suntax, is a kind of stylish jazz of his own making." "A master stylist, Wideman pursues a wide array of tonal registers, rhetorical strategies, and musical effects in this collection of stories. He makes personal interventions in history and witnesses history intruding on the personal. Each story enacts a dialectic on matters of race that’s mirrored in Wideman’s sentences, the staccato tussling with the sinuous." 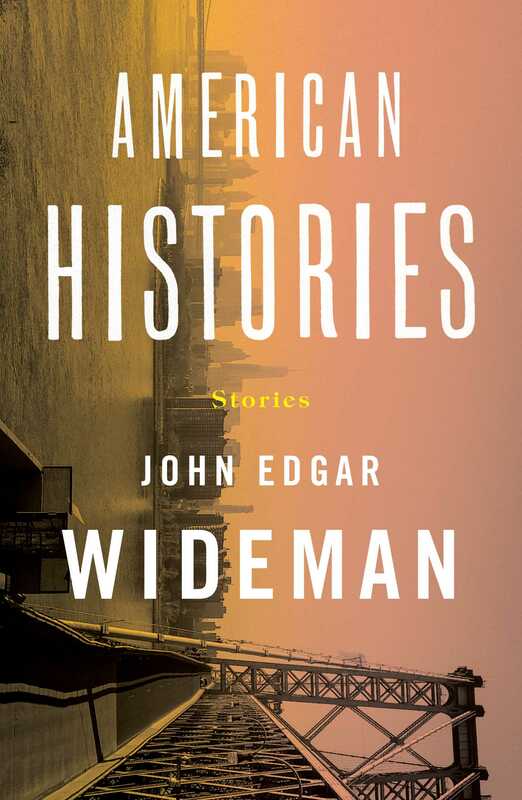 "Wideman's 50-year writing career has won him countless awards, and the author proves his continued vitality, reimagining historical figures with vigor and soul." "Race and its reverberations are at the core of this slim, powerful volume, a blend of fiction, memoir, and reimagined history, in which the boundaries between those forms are murky and ever shifting." "Wideman is a writer who excels at dramatising African American sensibilities and this collection typically addresses issues of race, injustice and inequality with power and potency. Crystallised moments of experience carry entire worlds in stories such as Maps and Ledgers, in which a black school teacher is told that his father has committed murdered a man, and Dark Matter, which recounts conversations diners have eating out, from the whimsical to the political ... A gem for anyone yet to discover his work." "John Edgar Wideman's latest book feels like a coda to his impressive body of work. He deftly incorporates a range of black names from the 20th century — Emmett Till, Jean-Michel Basquiat — in his riffs, then plunges deeper into history." "Profound ... All of Wideman’s work is distinguished by his elegant, sometimes almost stately prose that has rightly seen him at the forefront of American letters. But the structure of his work plays like jazz, layered and interwoven, never content with a single voice, understanding that perspective is various, varied." "Wideman . . . boldly subverts what a short story can be in this wonderful collection. . . . Each story feels new, challenging, and exhilarating, beguilingly combining American history with personal history." "Linked by astringent wit, audacious invention, and a dry sensibility whose owner has for decades wrestled with what he describes as “the puzzle of how and why and where and who we come from." Wideman’s recent work strides into the gap between fiction and nonfiction as a means of disclosing hard, painful, and necessary truths. "Wideman’s shape-shifting, lyrical narratives offer mesmerizing and challenging perspectives on the creative process and the black experience, decisively affirming his stature as a major voice in American literature."